The 2015 dragon horoscope for the Year of Goat predicts that you will have a highly powerful and emotional year. This reflected in whatever you do and whatever you think. So it is important that you should be the master of your emotions and sentiments. Do not be a slave to them if you want to accomplish your objectives in life. You have the courage and strength to overcome all obstacles in life. Just put your mind to it. In matters of career and business, the Dragons should not go by impulse and try to achieve what is possible. You should not embark upon unreasonable targets. You may have to face many challenges, and you can overcome these by courage and calmness. The Chinese horoscope 2015 for the Year of the Green Wood Sheep forecasts that the dragon’s social life will be hectic. Though it is necessary to attain your career targets, you should not forget about family relations. You should be sensitive to the feelings of family members. Your health requires more care and emotional health becomes more important during the year 2015. Taking a vacation with your loved ones can give you the relief that you have been looking for. The Feng Shui yearly forecasts for the dragon foretell of excellent fame or fortune or a disastrous year. It all depends on how much effort and hard work you are ready to put in. This is not a year to begin new ventures. Instead concentrate on finishing what you have already started. The dragon 2015 horoscope forecasts that you need to learn to express your feelings in relationships. If you are single, you will search for opportunities to get into love relationship in 2015. If you are already in a committed partnership with someone, the relationship will become stronger or become permanent. First half of the year is auspicious for beginning new relationships. This is also a good year to get pregnant. Dragons believe more in passion than love and romance, and want to have their way in love and relationships. Chinese zodiac compatibility also shows that the dragons need to give their partners equal importance if they truly love them. You cannot have your way all the time. The 2015 Chinese horoscope predictions show that during the year 2015, you are pretty much engrossed in your career activities. Thus family life takes a back seat. Family relations will be strained because of your neglect while your social life will be going great guns. However there will be occasions when you will be deceived in your professional dealings. Then you will automatically seek the support of your family. This is not done. Be sure to spend quality time with your loved ones. (Also read the corresponding Aries 2015 horoscope). 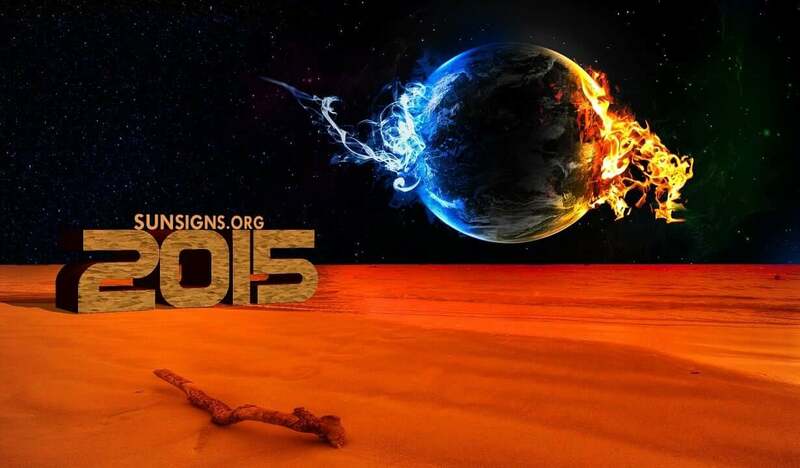 2015 promises to be a hectic year for the Dragon sign. Hence it is wise to take some time off for relaxing with your family and friends in a peaceful environment. This will not only help you emotionally but improve your physical stamina which is essential for facing the challenges in life. Career opportunities are encouraging during the second half of 2015 for the dragon Chinese zodiac sign. If you are looking for a new job or change of job this period is auspicious. The year of the sheep 2015 predictions for the dragon suggests that businessmen can start new projects in these six months of the year. Dragons have original ideas and want complete freedom in their work. You are good in communicating with people and will do well in customer service and management jobs. But you will need to be careful not to cross the line. Once you do that all your hard work and effort will not have any value. You boss and partners will both be miffed by your dominating attitude. Then it won’t be long before you will have to start from scratch. The Chinese New Year 2015 will be a year of major achievements which also bring financial gains for those born in the year of the dragon. The second half of the year is also favorable for making risky investments which will turn profitable. There is a serious problem with the way you spend money. If you are not careful, you will be struggling financially by year end. The 2015 Chinese zodiac predictions foretell that as the dragons like to overeat, this will cause health problems. In spite of your strong physique, you are emotionally weak, and you tend to indulge yourself. This overindulgence can lead to serious health issues in the Year of the Green Wood Sheep. Skipping a meal and then having a huge feast will only screw up your body metabolism. So rectify that before it is too late! Fortunately the Chinese dragon animal sign are interested in spirituality and creative arts which will help you overcome your tensions and negative attitude. The Chinese Dragon horoscope 2015 suggests that you should devote a part of your free time in learning a new skill or indulge in fine arts. This will be helpful in reducing your stress created by professional or business activities. Engaging in activities you like will improve your personality which is necessary for growth in 2015. 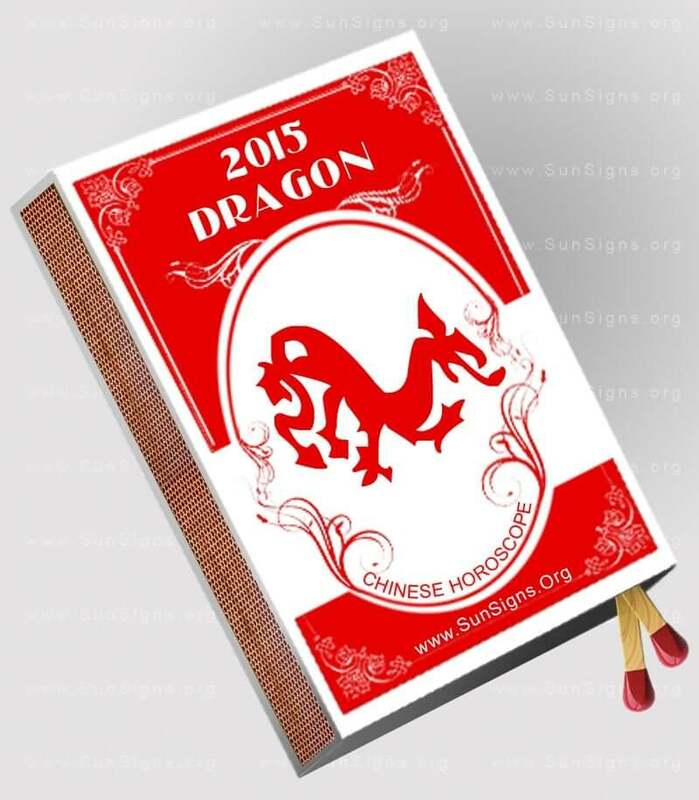 The 2015 dragon horoscope carries a strong message for those born under this Chinese animal sign. The dragon is known for its high flying personality while the sheep is pretty calm and demure. The right mix of both these personalities can make you truly successful. Do not let your creative aptitude and hard work go to waste. Instead, rein in your extra energy and use it wisely in both your professional and personal life.